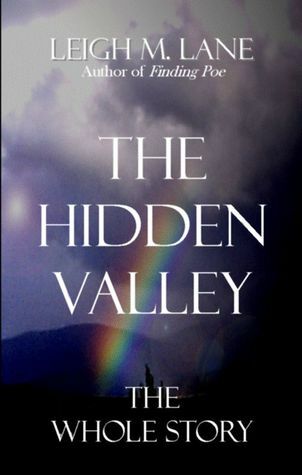 THE HIDDEN VALLEY Goodreads Giveaway! Welcome to the final installment of the “I Love Horror Novellas Blog Hop”! Over the course of the week, I have offered a small amount of insight into the character behind The Hidden Valley: Carrie’s Story, sharing the grief over her middle-aged fading beauty, the horror she faces over being possessed by the town’s undefined entity, and the role her photography plays in both her back story and the development of her possible insanity. This week, I also had the opportunity to share at a handful of other authors’ blogs, revealing the motivation behind the darkness of The Hidden Valley, what seems versus what is in horror fiction, and the role my love of Stephen King’s works played in my choice of style and literary elements. I would like to expand a little on the latter, sharing a handful of King’s stories that helped to inspire the feel and flavor of The Hidden Valley. While this blog hop focuses on paranormal and horror novellas, I would like to take a holistic approach to the novel today, delving beyond Carrie’s Story and looking at the collective work. It: While there are no evil clowns in The Hidden Valley, there is a dark, unnamed force claiming the town of South Bend and terrorizing all who fall into its trap. It can take whatever form it chooses, possessing the living and owning the dead. Its strength comes from those who fear it, and its demise will come at the hands of only those able to identify it for what it truly is. ‘Salem’s Lot: No, there aren’t any vampires either, but I based the feel of the town—a cozy place riddled with dangers that slowly unfold and grow as the story progresses—on this story. There is a sense of growing urgency to identify and escape the evil that resides, as well as the theme of youthful innocence taken far before its time. Cat’s Eye: I loved how this charming film made a cat the unexpected hero, and I set out to do just that in The Hidden Valley. Readers will find that Maxwell’s chapters are some of the most articulate and thought provoking, offering insights shown nowhere else in the story. Similarly…. Cujo: King’s ability to get inside the head of an animal impressed me thoroughly, and I can only hope I did similar justice to Maxwell’s chapters. While Cujo is a Saint Bernard and Maxwell is a black and white tuxedo cat (named after one of my sister’s childhood pets) I hope readers will see the inspiration the former had on the latter. The Shining: Probably my favorite King novel, The Shining portrays a large piece of property that is haunted by its dark past. The evil created by its continuing need to terrorize and destroy those unfortunate enough to set foot within its reaches was a strong inspiration behind the evil lurking within South Bend. Much like I worked to emulate Poe’s unique voice in my last novel, Finding Poe, I worked to emulate King’s rich descriptions and subtle nuances in The Hidden Valley. The novel is my homage to the greatest horror storyteller of our time. Here’s to you, Mr. King. While I might only be at the beginning of my writing journey (at thirteen novels and counting), you have taught me much, and while I might never achieve your greatness, you have inspired me more than you’ll likely ever know. In The Hidden Valley: Carrie’s Story, Carrie is a professional photographer who allowed one of her private gigs to get more than a little out of hand. The fallout is severe, one that leaves her marriage forever changed. When the family reaches South Bend, she makes a promise to herself that she is only going to work in freelance photography, sending nature photos to magazines and the like. She finds that everything there seems primed for the lens—and every picture she takes is National Geographic-cover perfect. As such, it comes as a surprise when she begins to receive one angry rejection letter after the next for her submissions. Another look at the pictures offers her a shocking reality check: none of the pictures appears even remotely as it had appeared at first glance. She is then faced with the terrifying question of whether she had perceived them incorrectly when she first took them, whether she saw them from a skewed perspective as she reviewed them again, or whether someone was playing a cruel trick on her and actually replacing her perfect pictures with the horrific images now cluttering her hard drive. Or has she simply lost her mind? This post is part of the week-long Horror Novella Blog-Hop, hosted by Precious Monsters. Make sure to check out the other participating blogs.